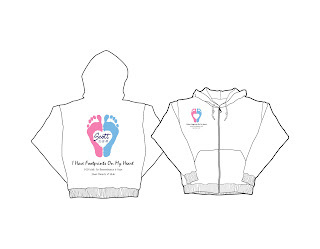 Share Parents of Utah would like to thank Persnickety Creative for the beautiful invitations and shirt logo for this years Walk for Remembrance and Hope. Each year Persnickety Creative chooses a non-profit organization to work with. This year Share Parents of Utah was chosen and we have received countless hours of service. Please take a moment to check out Persnickety Creative by clicking HERE! 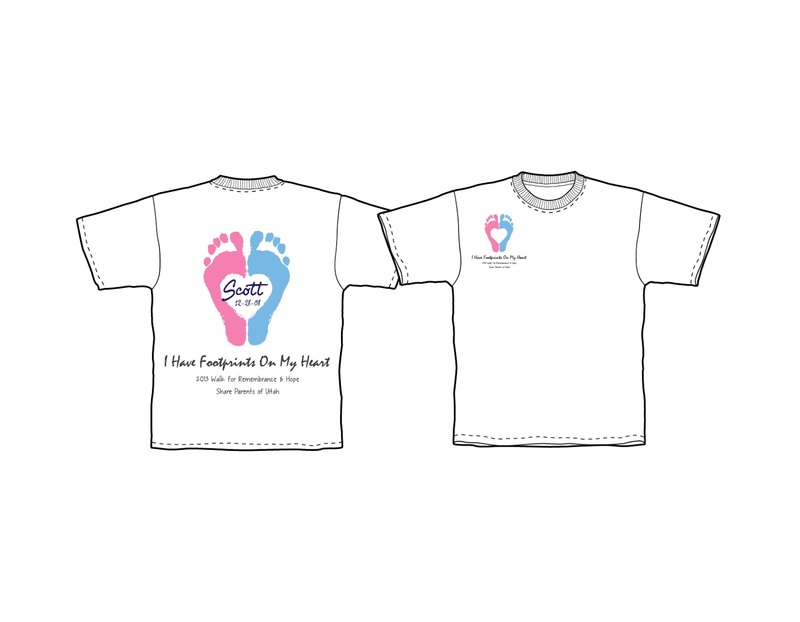 Here are the shirt designs for the 2013 Walk! 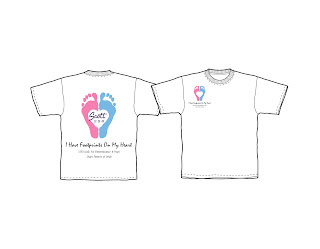 The name written inside the footprint is an example of what you can write on your shirt with a fabric marker (which will be provided at the Walk). Shirt orders are available by clicking HERE. Please visit our "Events" tab for all the latest information on this year's upcoming Walk for Remembrance and Hope! Shirt orders are available by clicking HERE. All orders are due September 30, 2013. 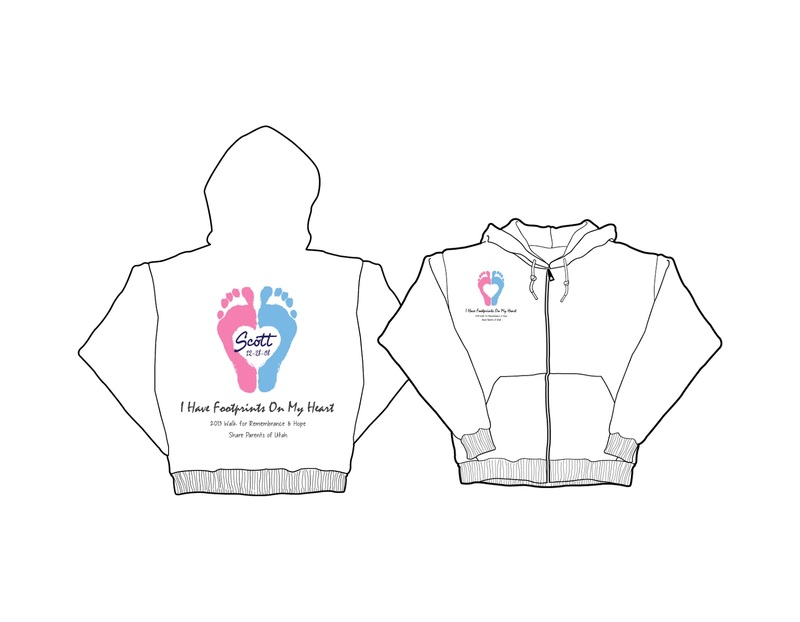 Names will not be printed on the shirts, but there will space in the decal for you to write your baby/babies names on it. Fabric makers will be provided at the Walk for you to use. We will not be ordering extra shirts to sell at the Walk, nor will we be doing an extra order after the Walk, so if you want a shirt, please be sure to get your order in on time!